Most Santa Clarita Junior High Schools are the responsibility of The William S. Hart High School District in Santa Clarita CA. However, Acton-Agua Dulce Unified has its own junior high school and high school and Castaic Union School District is responsible for Castaic’s junior high school. Follow the following link to find websites of Santa Clarita School Districts. Local students have achieved high SAT scores, higher than the national and state averages and this is one of the reasons many move to the Santa Clarita Valley. Excellent education facilities for their children motivate many parents to purchase homes for sale near Santa Clarita Schools. Arroyo Seco Junior High School details – overview, teacher ratios, demographics and more. Placerita Junior High School details – overview, teacher ratios, demographics and more. La Mesa Junior High School details – overview, teacher ratios, demographics and more. Sierra Vista Junior High School details – overview, teacher ratios, demographics and more. 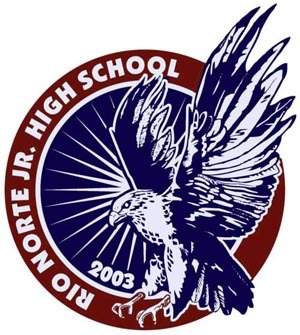 Rio Norte Junior High School details – overview, teacher ratios, demographics and more. Rancho Pico Junior High School details – overview, teacher ratios, demographics and more. High Desert Junior High School details – overview, teacher ratios, demographics and more. Castaic Middle School details – overview, teacher ratios, demographics and more. Please be aware that school district boundaries do change occasionally, and especially when new schools or neighborhoods are being built. Please contact the school district prior to finalizing any home purchase based on a school you would like your child to attend.